ORLANDO, FL -- Orlando gunman Omar Mateen identified himself as an Islamic soldier in calls with authorities during his rampage and demanded to a crisis negotiator that the U.S. "stop bombing Syria and Iraq," according to transcripts released by the FBI on Monday. The partial, printed transcripts were of three conversations Mateen had with the police during the worst mass shooting in modern U.S. history, in which 49 people died and dozens were wounded. Those communications, along with Facebook posts Mateen made before and after the shooting, add to the public understanding of the final hours of Mateen's life. The first call came more than a half hour after shots rang out, when Mateen told a 911 operator, "Praise be to God, and prayers as well as peace be upon the prophet of God," he told the dispatcher, referring to God in Arabic. However, there is no evidence Mateen was directed by a foreign terrorist group, and he was radicalized on his own, Hopper said. Mateen's name and the groups and people to whom he pledged allegiance were omitted from the excerpt. But the FBI has previously said he pledged allegiance to Abu Bakr al-Baghdadi, the leader of the Islamic State. Shortly after the call, Mateen had three conversations with crisis negotiators in which he identified himself as an Islamic soldier and told a negotiator to tell America to stop bombing Syria and Iraq. He said that was why he was "out here right now," according to the excerpt. City officials have refused to provide hundreds of 911 calls to The Associated Press and a coalition of news organizations, citing confidentiality under Florida law, and arguing that an ongoing investigation kept the tapes secret. 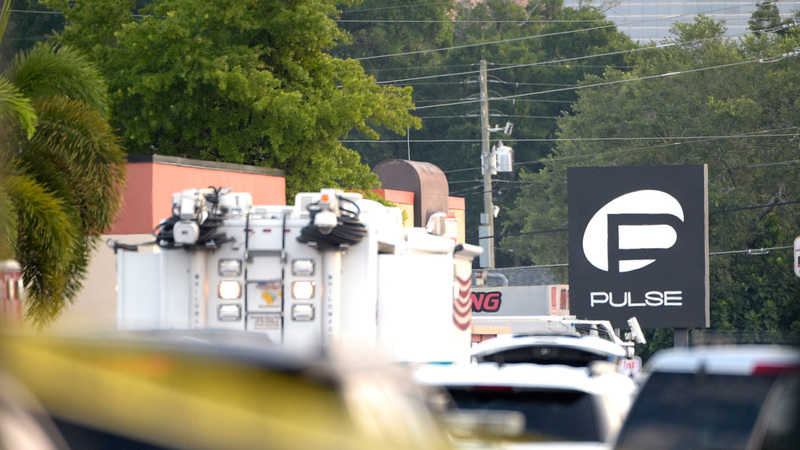 Authorities say they will not release the full 911 calls to avoid again victimizing those inside Pulse. Hopper said officials are "not going to propagate violent rhetoric" by giving full transcripts with no redactions.